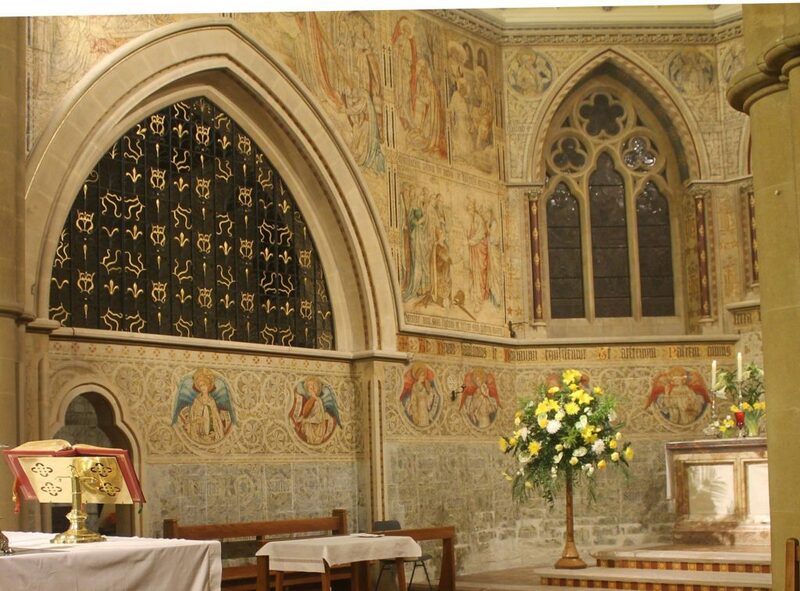 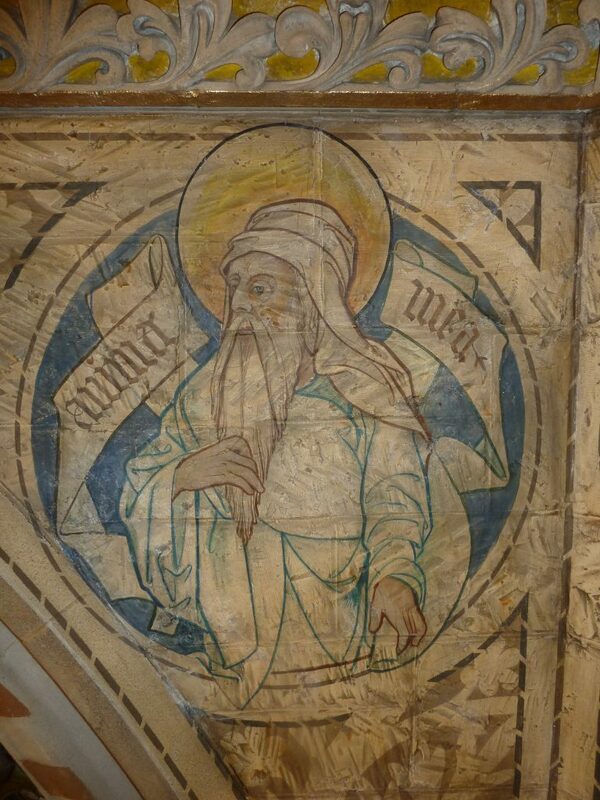 Towards the end of 2015 we began work on a fabulous project at the Church of the Sacred Heart, Caterham, where we were invited to undertake the conservation and restoration of the beautiful painted decoration by Joseph Aloyisius Pippet (1840-1903). 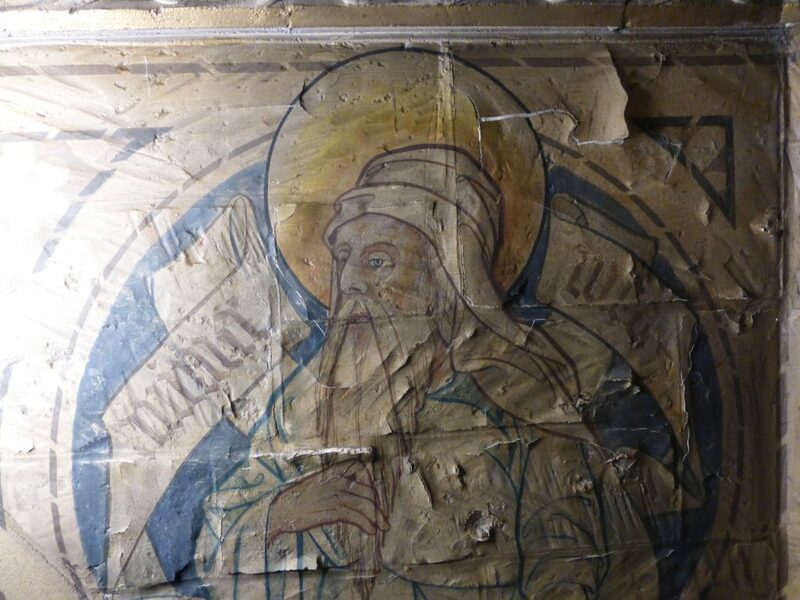 The paintings had been severely damaged by water ingress, movement of soluble salts, abrasive cleaning, modern varnish application and over-painting with impermeable paints. 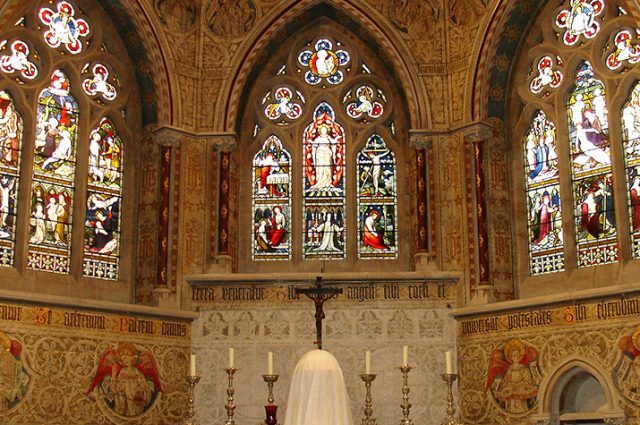 Phase I of the project is now complete and included consolidation, cleaning and touching in losses to the mural paintings in the Sanctuary, as well as removal of impermeable paints and lime repairs at dado height and in the Lady Chapel. 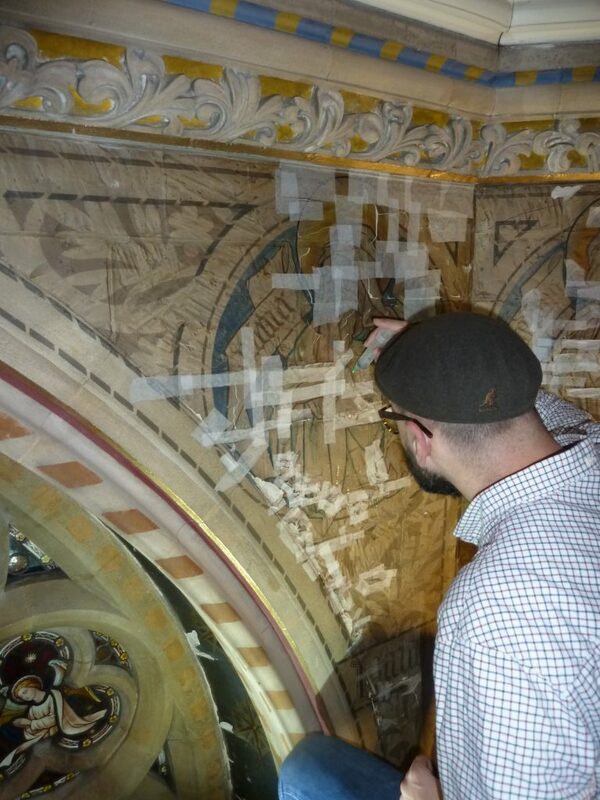 We are very much looking forward to returning in the New Year to recreate the stencilled decoration and return the church to its stunning original appearance.